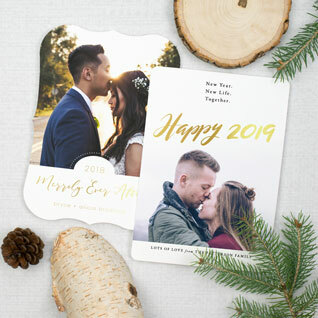 Holiday Cards to capture your newlywed bliss. Make a dazzling impression with something new this Christmas! One-of-a-kind Holiday Cards showcasing your personal message and photos and shiny Foil and Spot Gloss are the perfect way to celebrate the magic of the season. Shop our collection of Spot Gloss and Foil Holiday Card designs, and add dazzling shine for the best-looking holiday cards friends and family will receive. Send loved ones a festive keepsake for their fridge, personalized with your photos and color choices. 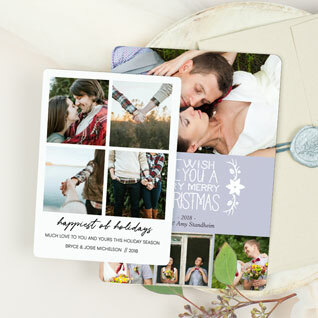 Celebrate your first married Christmas by sending a much-loved Photo Card to family and friends. Spread Christmas Cheer this season with a spacious Folded Card featuring your colors and precious photos. I have been doing a magnet Christmas card since 2008. Every year, we see our card year round at our friends houses. They are perfect, unique and functional. MagnetStreet has produced a fabulous magnet for us each year which is why for the 7th year in a row I have shopped there! Thank you for always getting our order just right and allowing me to design and word cards to perfectly represent our family! I got 50 each of 3 different wedding photos put on these Christmas cards and I still cannot decide which I like best. MagnetStreet printing is top notch -- so clear and crisp and has a shine to it. Great products!!!! 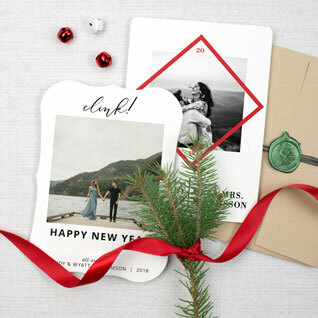 Start your married life together with a favored tradition — personalized Christmas Cards. With a festive but romantic touch, your loved ones will have a beautiful keepsake from your wedding to display for the holiday season. 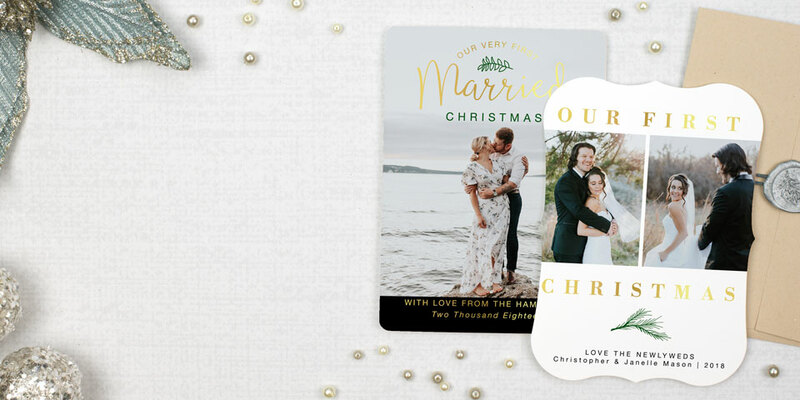 Not only do Christmas Cards celebrate your recent vows, they are also a great opportunity to announce your marriage to those beyond your wedding guest list. This collection is all about the love you share for each other. Inspired by the pure joy of your recent vows and warm holiday greetings, each design pairs the romance of your wedding day with the festivities of the holiday season. Carry the design look of your wedding stationery, or try something new that reflects your Christmas spirit.